Stephanie Keri drops a Single titled ‘May-Dah-Say’ worldwide. The hit song ‘May-Dah-Say’ is a Ghanaian word in the Twi language meaning ‘THANK YOU”. The song is an amazing concoction of seven (7) different languages – Twi (Ghanian), Yoruba, Igbo, Efik (Nigeria), South African, English, and French languages. The song produced by the multi-award winning music producer, Mr Tee, is a nicely arranged production with a very dance-able and intoxicating beat. The African groove is undeniable and just makes you move! To some of the people outside the Eastern part of Nigeria, the name ‘STEPHANIE KERI’ may not be too familiar, but for someone who has been singing professionally for over 21 years, it will be a crime to call her an up-and coming artist. ‘May-Dah-Sah’ is the first single out from her much awaited second album titled ‘COLOURS’, which is set to be released in October of 2015. The album is a fantastic collection of Eleven (11) well thought-out tracks, with varying expressions and reach, and a true representation of the African diversity and uniqueness. 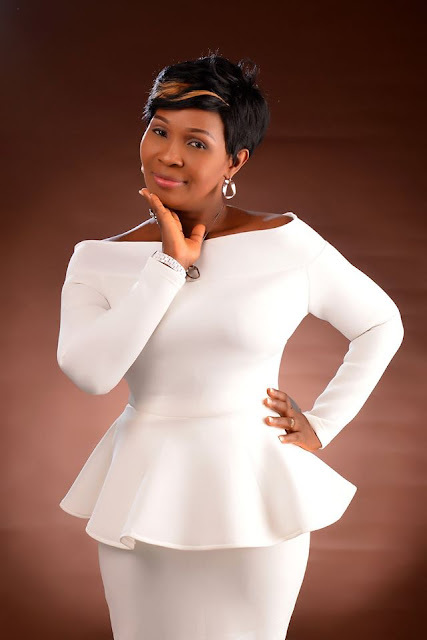 Stephanie is a gifted, an amazing singer-songwriter, and music minister, based in the Eastern part of Nigeria. She started her love affair with music in the choir of Church of God Mission Inc., to various other platforms, before finally deciding to produce and release her debut album titled “Peter Walked On Water” in November of 2012. The album produced by Luciano, featured hit tracks such as ‘Wahala Dey’, ‘Jesus Power’, and ‘Nkume Ebighiebi’ to mention a few, and was very well received. With the forthcoming ’COLOURS’ album by Stephanie Keri produced by amazing producers such as the Legendary Multi-Awards winning international producer – Ambassador Wole Oni; Multi Awards winning producer –Mr Tee; irresistible Kaycee Keys, and Mr Elo Oku; the album is sure to be both a national and international success. This single represents an in-depth Research into the African Sound and a fusion with unique languages, to showcase the vibrant African sound. The video of Stephanie”s first single ‘May-Dah-Say’ produced by Mr Tee, has just been shot by the award winning video director and cinematographer, Mr Oluyinka Davids of iFocus Pictures, and will be released in October as well.